The Luvi Panda Bear Teddy Bear by Aurora has short and soft fur, sweet brown eyes, stubby arms and legs, and paw prints on its feet. What more could you possibly need in a teddy bear?! How about one more thing to make it special? This Luvi teddy bear is shaped like a classic teddy bear but has the coloring of a cute panda bear. 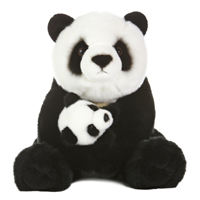 The Luvi Panda Bear Teddy Bear has a very familiar teddy bear shape that is perfect for hugging and cuddling. 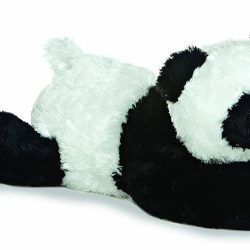 Posed in a sitting position with short and stubby limbs, this plush panda teddy bear is a snuggler by design. The fun panda bear coloring is topped off with cute little paw prints on the feet. It adds to the panda bear look and makes this teddy bear even more unique. 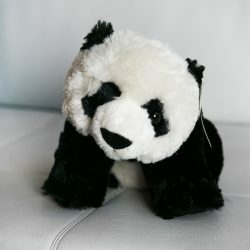 For too long people have had to choose between a stuffed panda bear and a classic teddy bear but not any more! This Luvi Panda Bear Teddy Bear by Aurora is the best. It’s almost like getting two stuffed bears for the price of one! Almost. Aurora teddy bears are incredibly well made with a focus on durability, safety, affordability, and most importantly, cuteness. 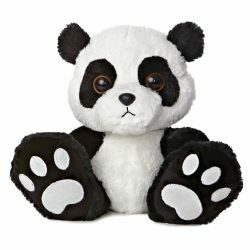 The entire line of stuffed animals by Aurora, including the Luvi Panda Bear Teddy Bear, is made from all new, child safe materials and meets or exceeds all U.S. safety standards. 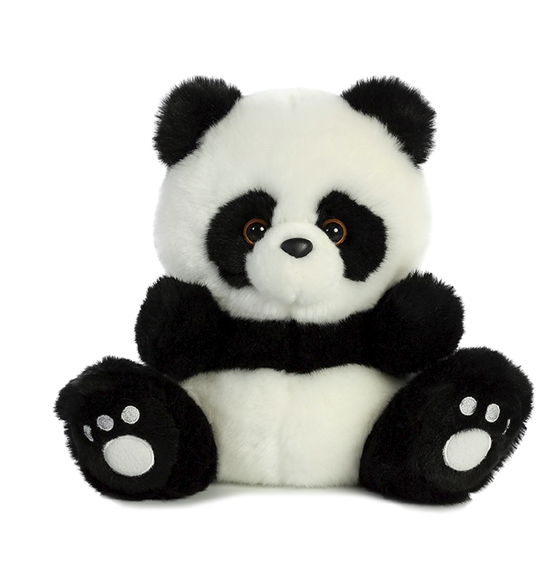 Recommended for ages three and up, this panda bear teddy bear is surface washable.